Use Technorati, Reddit or another blog search engine, find at least five interesting blogs. Community blog – Blogs written in order to raise awareness in community and to address the issues related to a particular community. The Greener Leith blog is an example of a community blog. Often community blogs are written by more than one author. Follow the blogs using an aggregator tool. An aggregator lets you keep track of lots of blogs and see when new posts and content has been added without having to kepp visiting the website for the blog. You could try Google Reader (log in through Glew.org.uk), Netvibes.com, Protopage.com or something similar. 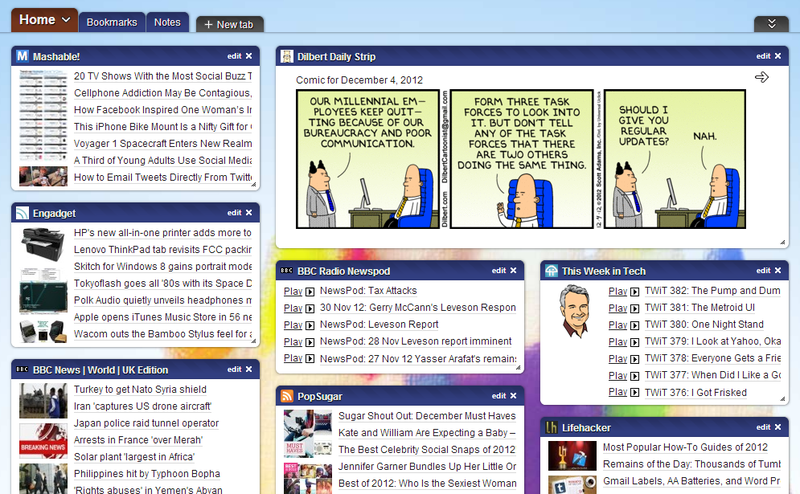 I like Netvibes and Protopage as they have a fun interface, much brighter and more customisable than Google Reader. Netvibes is a nice way of finding blogs too. Just click on the Add Content button at the top. You can also add ‘Widgets’ on to your pages. Protopage lets you do this too and it lets you have bookmarks, sticky notes and a useful search box. Usability: ease of navigation, ease of finding information, visual appeal and ability to recover from errors. Navigation: backtracking, timeline navigation, search facilities and threading. 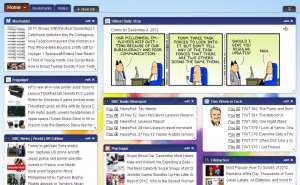 Structure: linear and hierarchical structures, timelines and semantic blogging. Connectedness: collaboration, links, particularly top other blogs and newsfeeds, but also to the Web in general. Design and Presentation: the visual and typographical aspects of blogs. This entry was posted in Ms Farrell's blog, S5-6 DMC, Weblogs. Bookmark the permalink.